MedPartnership is a strategy based partnership for the Mediterranean Sea Large Marine Ecosystem. It is a collaborated effort from the end of the leading environmental organizations sharing the region surrounded by Mediterranean Sea for facing the eco-challenges faced by coastal area around Mediterranean marine. There is strategic partnership followed for the Mediterranean Marine Ecosystem and it has the support for multi-fold resources, including regional, government, non-government and international communities’ associated for the protection of Marine line and coasts. The financial support for this initiative is done by the Global Environment Facility (GEF) and the partnering countries of European Union. MedPartnership is led by UNEP/MAP. The overall goal of MedPartnership is to follow a strategic and coordinated approach for enhancing the legal and political reforms. The main concept is to reverse the degradation trends affecting the Mediterranean biodiversity and coastal habitats. Get more information on MedPartnership by clicking here. There is close interconnection of this agency with the regional initiatives, such as the Integrated European Maritime Policy, Horizon 2020 (Initiative for de-pollution the Mediterranean Sea), the World Bank/GEF Sustainable Mediterranean Program, Integrated European Maritime Policy etc. The development of Union Objectives for the Mediterranean are also encouraged in this campaign. UNEP/MAP GEF empowers MedPartnership and it is a collective effort for the strategies included by the leading organizations. 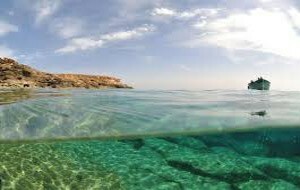 The main aim is to provide protection to the marine environment of Mediterranean region and also, the coasts are looked for the cleanliness and protection. The project focuses on the sound management of stocks, equipments and contaminations in the areas surrounded by Mediterranean Sea. Take review on contaminations in Sea at http://www1.american.edu/ted/projects/tedcross/xseap17.htm. There are different priorities identified in the NIPs, NAPs and existing initiatives by Mediterranean states for providing a harmonizing effect on the PCBs. It needs to meet the needs of Stockholm and Barcelona Conventions and has compatibility under the Basel Convention having association of the Mediterranean States. The major aim of this sub component is the introduction of ESM (Environmentally Sound Management) for every single stage of the life style of the electrical equipment. The contamination of Mediterranean Sea should be slowed down to avoid any ecological changes and uneven occurrences. Review and reforming institutional and legal frameworks, implementation of demonstration projects, technical capacity buildings and awareness rising. The variability of climate has different impacts on the marine life and it has become the need of the protecting agencies to be careful about the changes in climate, marine life and coastal zones.